Your Appy account is available for as long as you would like it to be. Once you create an account with us you will have unlimited access. 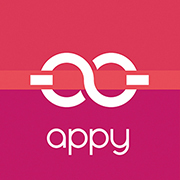 If you would like to delete your Appy account, email us at support@appycouple.com from your admin email. Your account does not expire, and it can only be deleted from our end. NOTE that when we delete your site, all your content (photos, guest info etc.) will be permanently deleted and cannot be restored. If you have created a custom domain before May 2017, remember that per the terms and condition of the subscription, with no request to cancel the domain will renew automatically and cannot be refunded. As a courtesy we send out an email notification to renew just prior to the domain's expiration date. If you do not choose to renew your custom domain, the standard Appy domain will still apply and be live.